We felt that this page was important for many reasons, but mainly due to the fact that so many pet parents are uncertain of this sad and difficult time during their pets life. Uncertain of how the procedure is carried out, where it is carried out and what the options for memorialization are. We hope that this page helps to answer some of these questions when making this difficult decision. Euthanasia is the act of humanely and peacefully allowing a pet to reach their final resting destination and make their way to the rainbow bridge. At Oxford County Veterinary Clinic, we will place an intravenous catheter into your pets vein in order to avoid the possibility of multiple injections and maintaining venous access with little stress to the pet. ​Following this, your pet may be sedated if he/she is anxious about being at the veterinary hospital (although typically not necessary). Finally, we will inject a lethal solution, a very strong anesthetic drug which will quickly and painlessly allow your pet to pass. We encourage family of mature age to be present for this procedure, as difficult as it may be, having a loved one present is very comforting and familiar for them. 1. Communual Cremation - Your pet is cremated amongst a few others. Their cremains are then buried in a plot at the Ancaster Pet Cemetery, which you are more than welcome to visit at any time. 2. Private Cremation - Your pet is cremated by themselves, with no other pets. The cremains of your pet are then collected and placed in an urn of your choice and returned to you. 1. 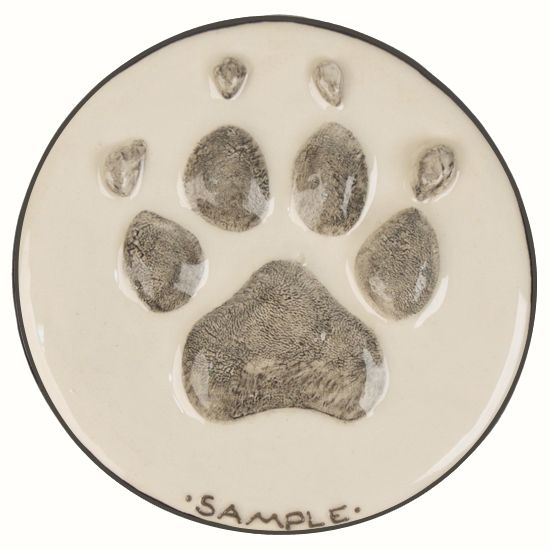 Glazed, fired pawprints - come in a variety of colours and patterns as a beautiful keepsake. 4. 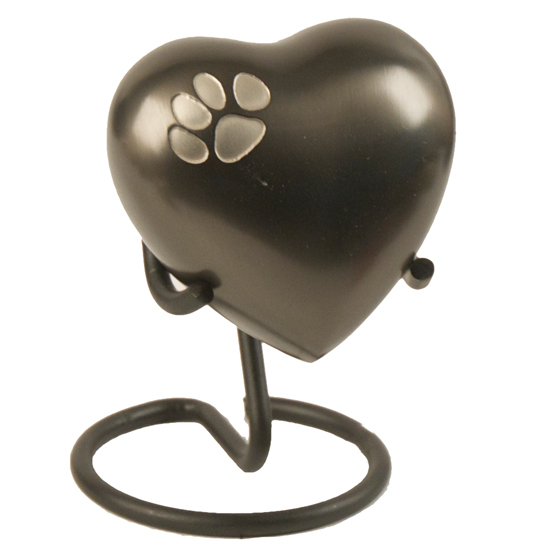 Jewlery - beautiful creations that help keep your pet close to your heart. 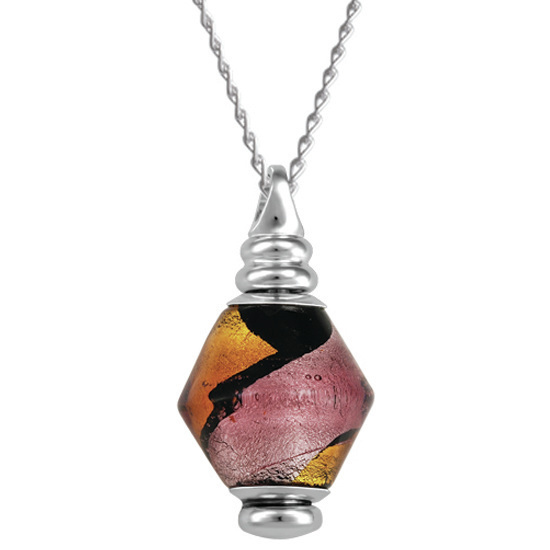 Many pendants also offer the ability to store a small amount of the cremains inside them. 8. Memorial Forest - plant a tree in their honour and save the environment all at once! 2. Can we euthanize our family pet in the comfort of our home? Yes, we do house calls for our clients so that pets can be as comfortable as possible. 3. Can we visit the crematorium? Yes, we can arrange to have this done if you wish. 4. 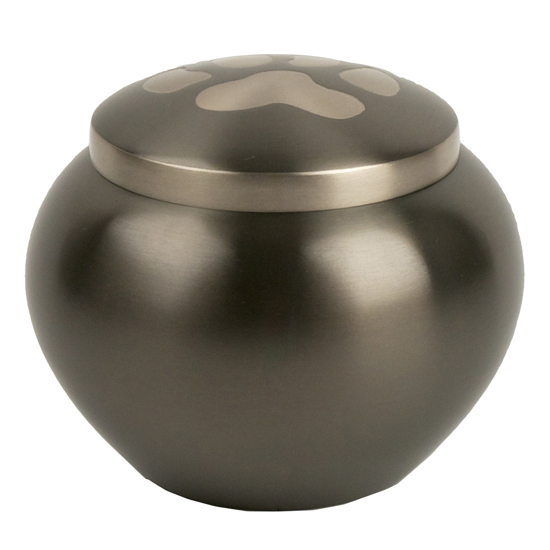 Do you include an urn with an individual or private cremation? No, we have opted to not include an urn as we want you to choose the urn that you desire versus the "free" one. 4. Should young children attend a euthanasia? It is not our recommendation to have young children attend. We do however recommend that you explain to your children what is happening to their pet and give them time to say goodbye and grieve their loss. Please let us know if we can help with this in any way. 1. It's ok to cry.Crying over the pet that you have loved for years, is normal and respectful. You have just made a very difficult decision surrounding your furry family member and their loss is important and emotional. Pets love without judgment, comfort us, bring us joy and peace, and as a result, when they leave us, they make us sad. So, yes, its ok to cry. Once your pet has departed to the rainbow bridge, know that it is ok to stay with them. It can be hard to leave them and we understand that. There is no rush to leave the hospital, take the time you need to say your goodbyes. 2. Be there, if you can.While understanding that it can be very difficult to imagine watching your pet at this stage of their lives, we urge you to stay with your pets, if you can, for multiple reasons. When you stay with your fur baby, our staff can focus on their task, knowing the pet is in caring hands. For your pet's sake, the vet can be a very scary place for animals - they don't understand what all these noises and smells are, or why these strangers are poking and prodding them and what the fuss is all about. Your pet doesn't know what we are doing or why - they only know that you are there, that you said it's ok, that you love them. If you can find the strength to be there, please do so. Please let your love, your touch, your presence be the last thing your pet experiences. On the same note, if you cannot be present, know that your pets will have us by their sides to comfort them. 3. Let them tell you when its timeOne of the most common questions we get is "how do you know when its time?". This is a very difficult question to answer, but the short response is...they will tell you. At the point that they are no longer the cat or dog you once remembered, if they are too ill to take care of themselves, if they are loosing weight and/or are dehydrated, if they are too tired to wag their tails or eat their supper, its likely time to let them go. Each pet will be different, but as long as you are making this decision for their benefit, to ease their pain or suffering, then there is no wrong time. 4. Make it a celebration.Bring treats (lots of them!). Tell stories. Laugh and cry at the same time. Surround yourselves with all his/her favorite toys and beds and blankets. It's ok to cry, and it's also ok to celebrate! Take your pet somewhere special, enjoy quality time with them, serve them a steak dinner followed by ice cream! This is going to be one of the hardest days of your life, but it doesn't have to be for your pet. 5. Prepare.I want this moment to be entirely about you and your pet. In order for that to be the case, several things must happen. First, you must understand the euthanasia process. If possible, talk to us prior to coming into the hospital, or prior to starting the process - ask us to walk you through the steps of euthanasia so that you know exactly what to expect. Ask as many questions as you need to in order to feel comfortable with the process (or at least, as comfortable as you can be). Know what you're walking into, so that your focus can be entirely on your pet. Second, take care of business ahead of time when possible. Sign any required paperwork. Pay the bill. Decide on after care. Even go so far as to prepare you next meal ahead of time, arrange a ride, rent a movie, invite friends over - whatever you think might help you cope when you return home from the hospital without your pet. The less you have to deal with during and after euthanasia, the better. I want you to be able to focus entirely on your pet during the euthanasia, and then entirely on yourself afterwards.